As the season changes, we are ready for spring, it is so good to see. We mill whole grain, stone milled flours and mixes have all the nutrients and flavor your body wants! Located in Lone Rock, at the heart of the Driftless Region of Southwest Wisconsin, Lonesome Stone Milling works with farmers who reside and farm within this region. All of the farmers practice sustainable growing and careful soil management, do not use GMO seeds and farm in mineral balanced soils. Some of our growers are also certified organic. 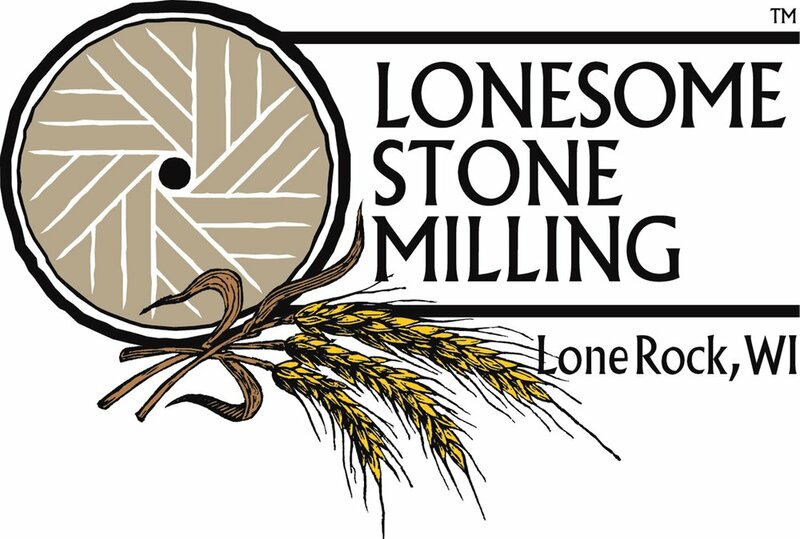 At Lonesome Stone Milling, we clean, dehull, store, and then mill to order hard red winter wheat, soft red winter wheat, hard red spring wheat, and winter rye, as well as blue and yellow corn. In addition to 25- and 50- pound bags of flour, we have packaged mixes of whole wheat, blue corn and rye, and buckwheat pancakes (which are of course gluten-free), as well as of cornbread for retail sale. These can be purchased for restaurant use in larger quantities. We enjoy working with individual consumers, artisan bakers, distilleries, restaurants, and retail stores in an effort to share the amazing products coming out of our region.